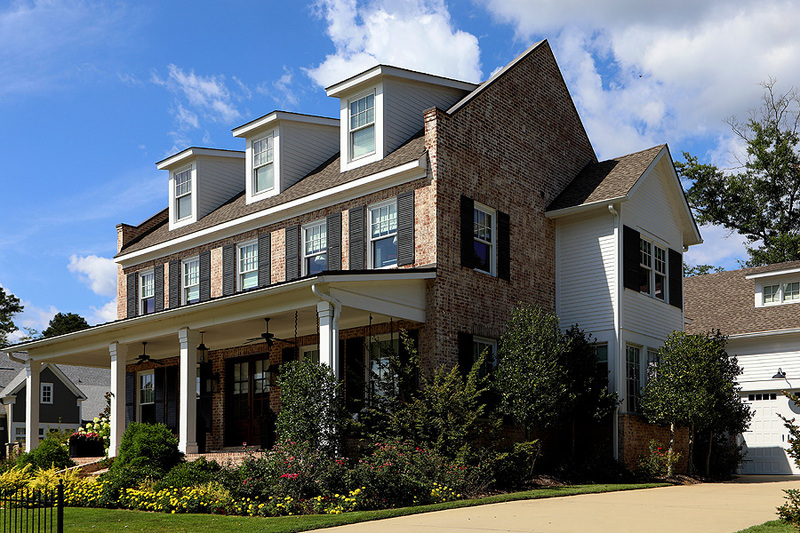 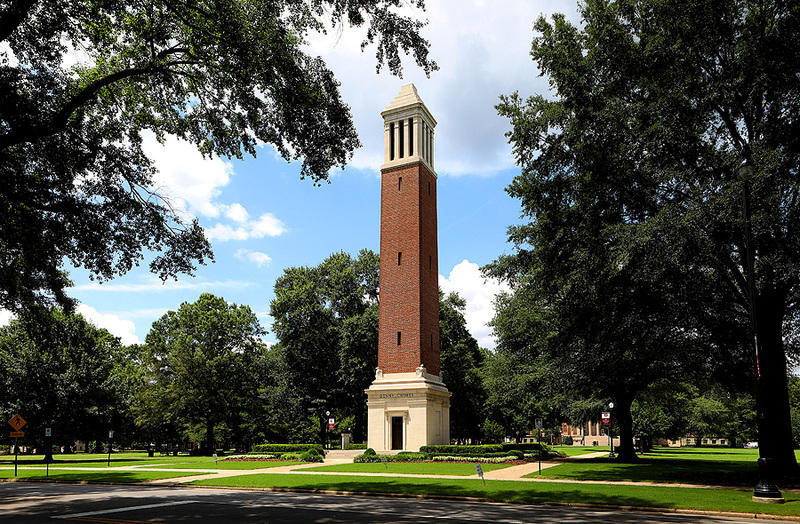 Tuscaloosa is a city in and the seat of Tuscaloosa County in west central Alabama in the southeastern United States). 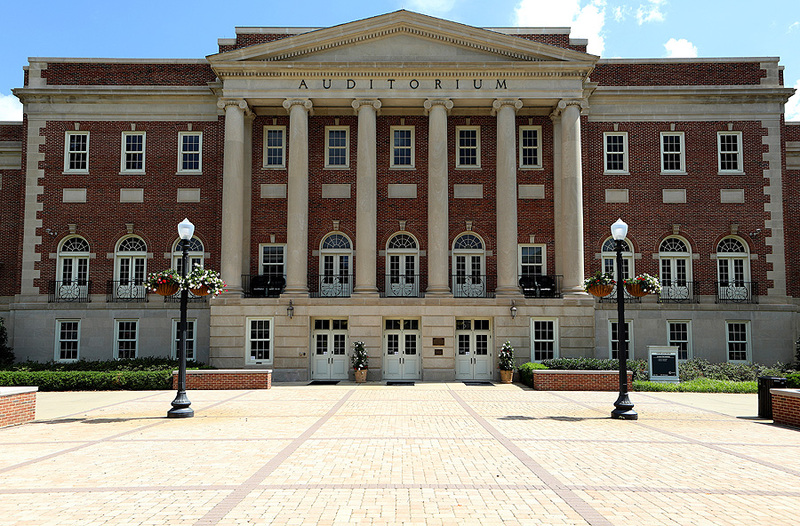 Located on the Black Warrior River at the Atlantic Seaboard fall line of the Piedmont, it is the 5th-largest city in Alabama, with an estimated population of 100,287 in 2017. 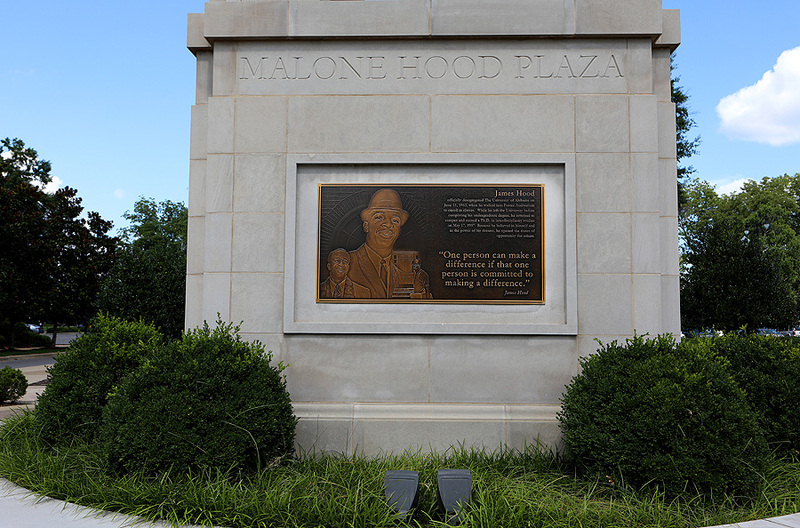 Incorporated as a town on December 13, 1819, it was named after Tuskaloosa, the chief of a band of Muskogean-speaking people. 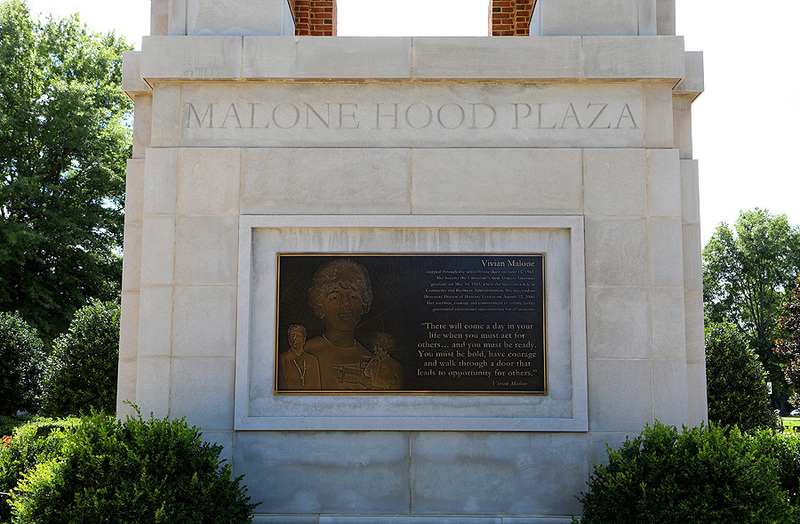 They battled and were defeated by forces of Spanish explorer Hernando de Soto in 1540 in the Battle of Mabila, thought to have been located in what is now central Alabama. 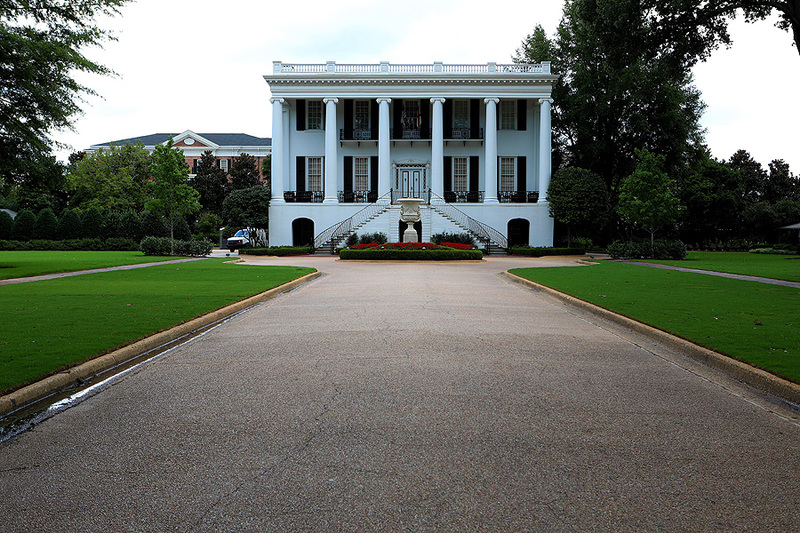 Tuscaloosa served as Alabama's capital city from 1826 to 1846. 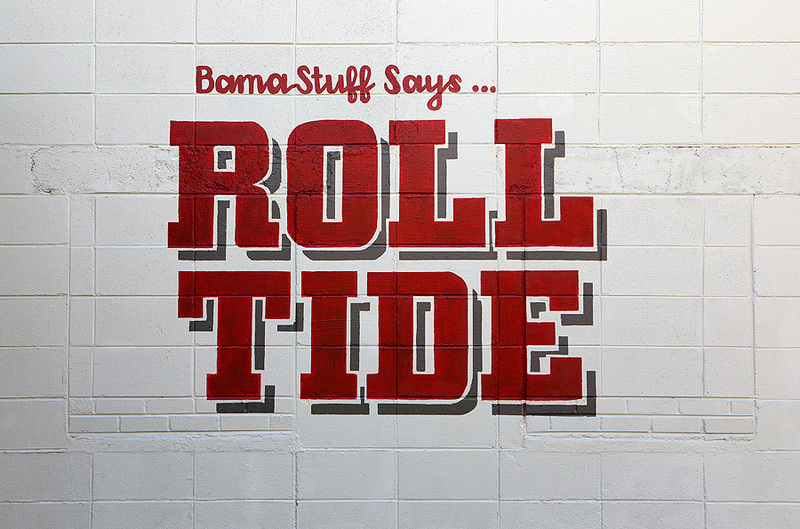 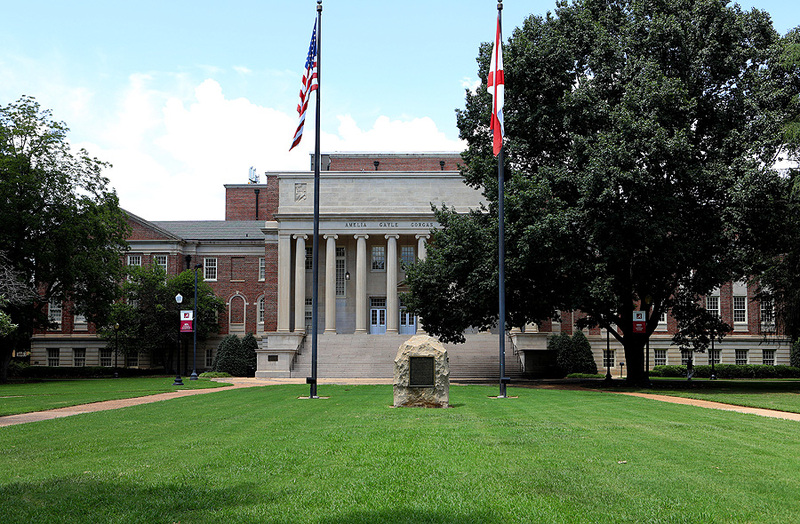 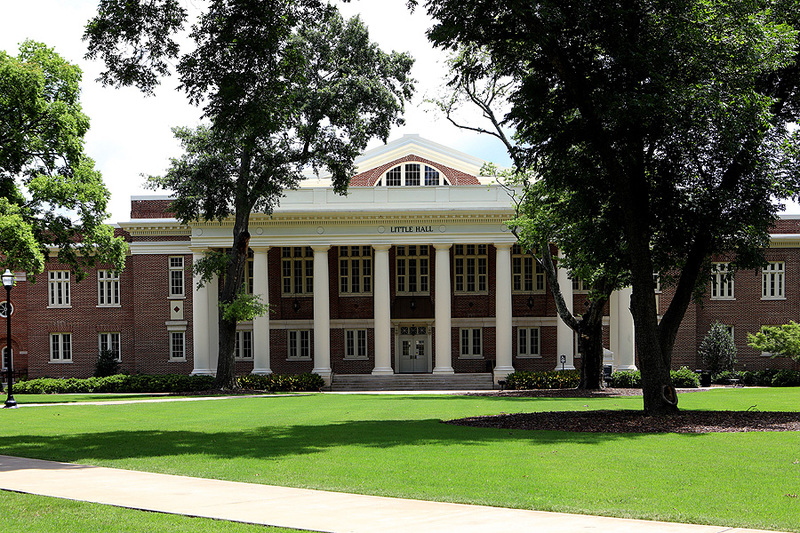 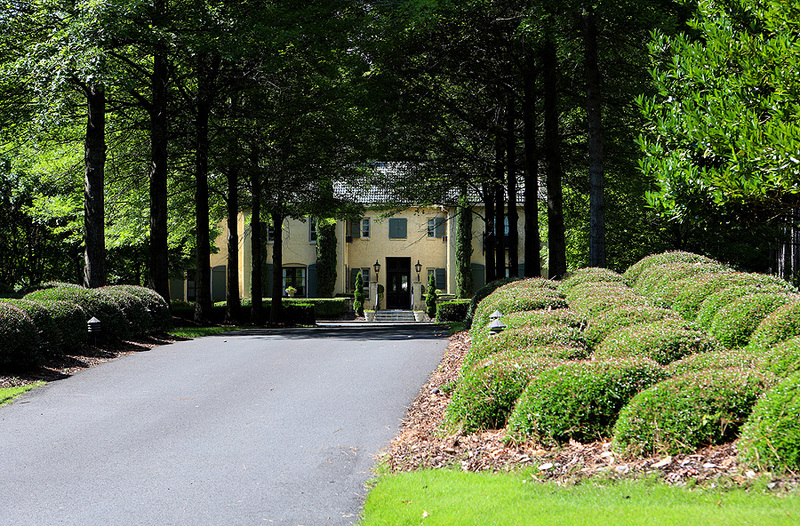 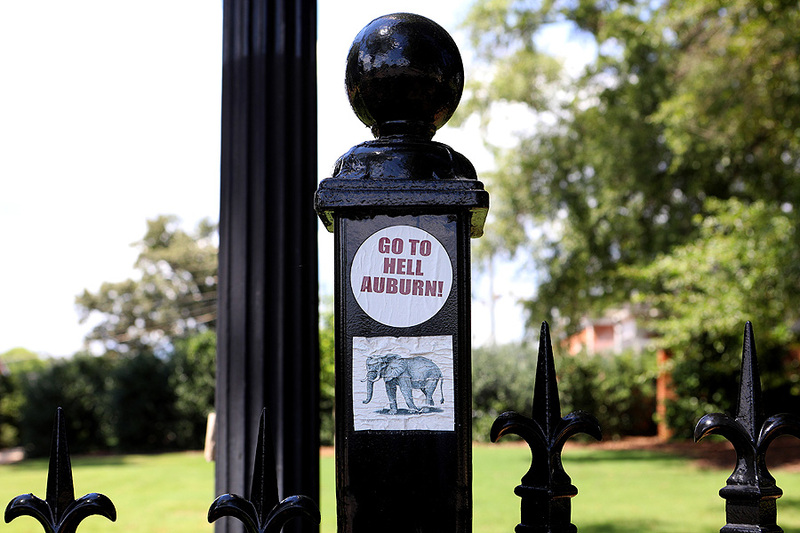 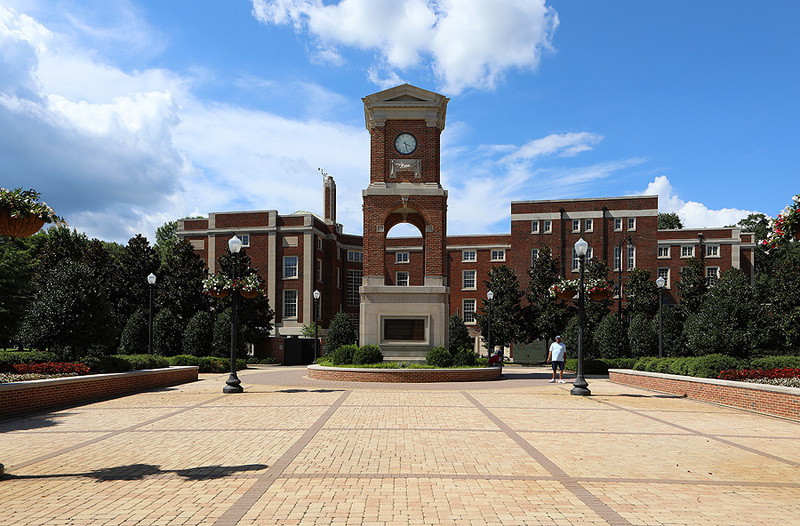 Tuscaloosa is also the home of The University of Alabama, Stillman College and Shelton State Community College. 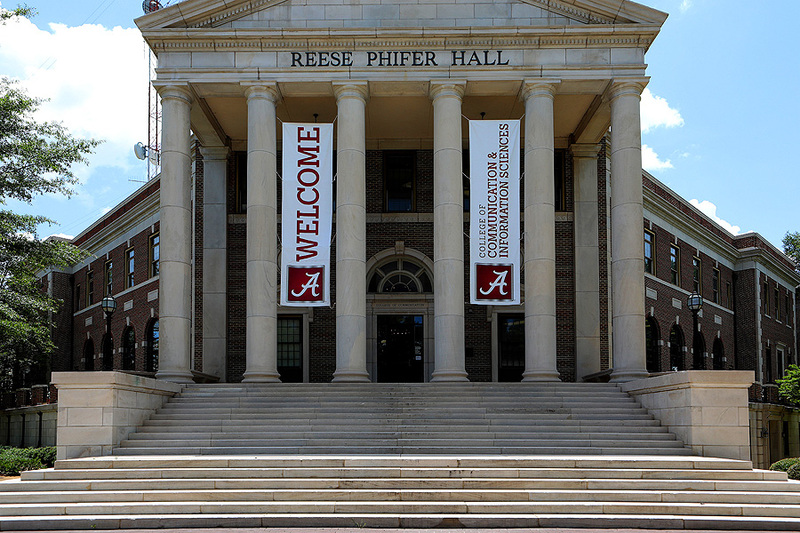 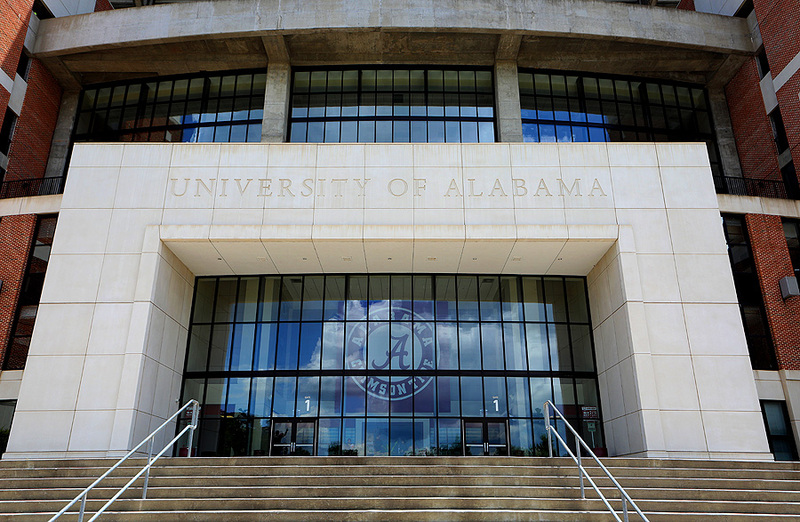 While the city attracted international attention when Mercedes-Benz announced it would build its first automotive assembly plant in North America in Tuscaloosa County, the University of Alabama remains the dominant economic and cultural engine in the city. 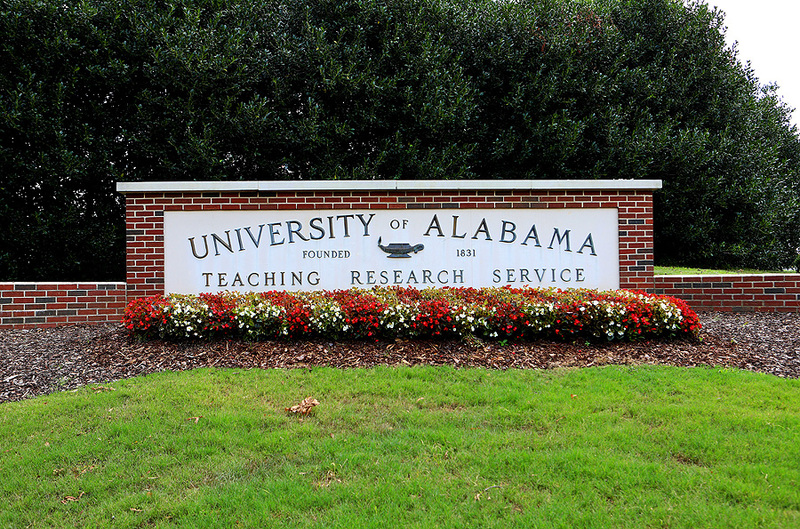 During my visit to Tuscaloosa, I wanted to do nothing but visit The University Of Alabama and capture some of its glory! 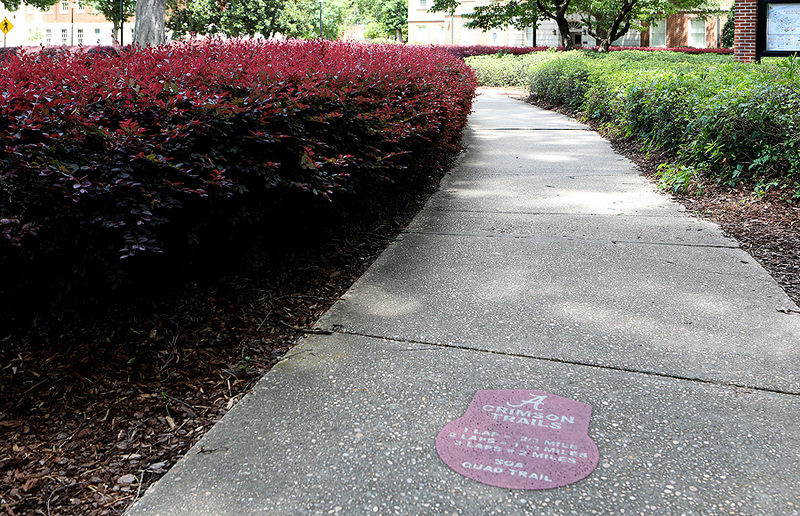 Once I arrived at the University, I found a parking space on University Boulevard and began my walk. 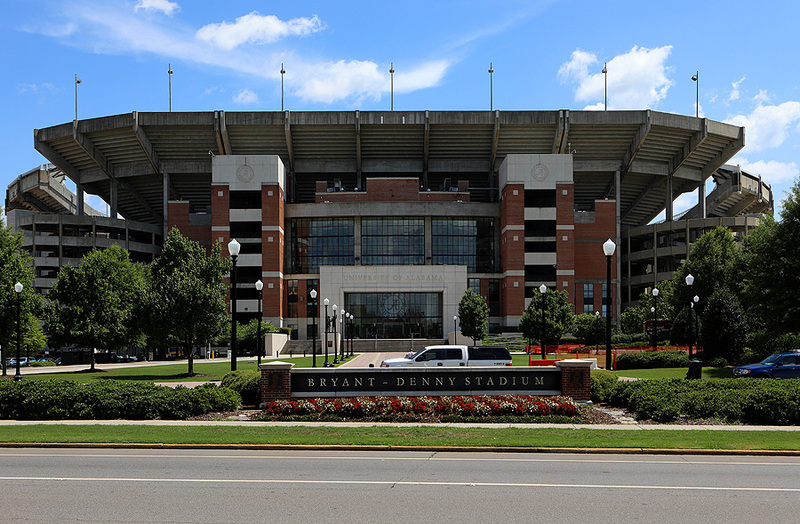 My first stop was Bryant-Denny Stadium, home of the Alabama Crimson Tide football team. 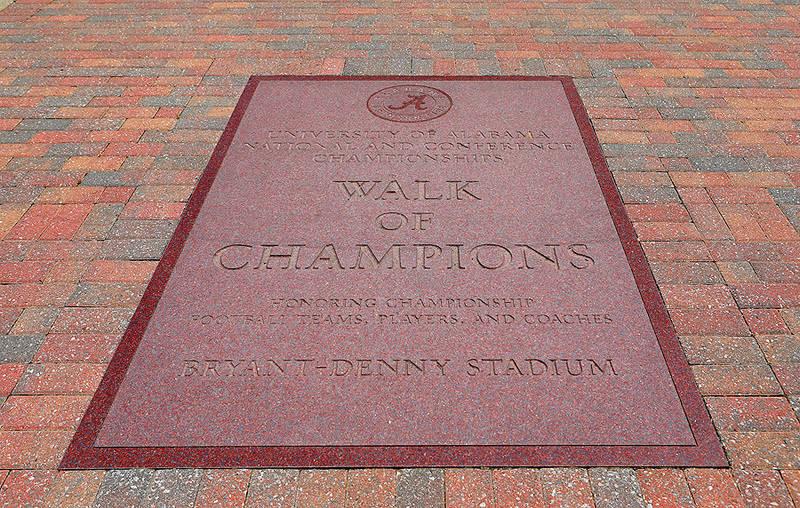 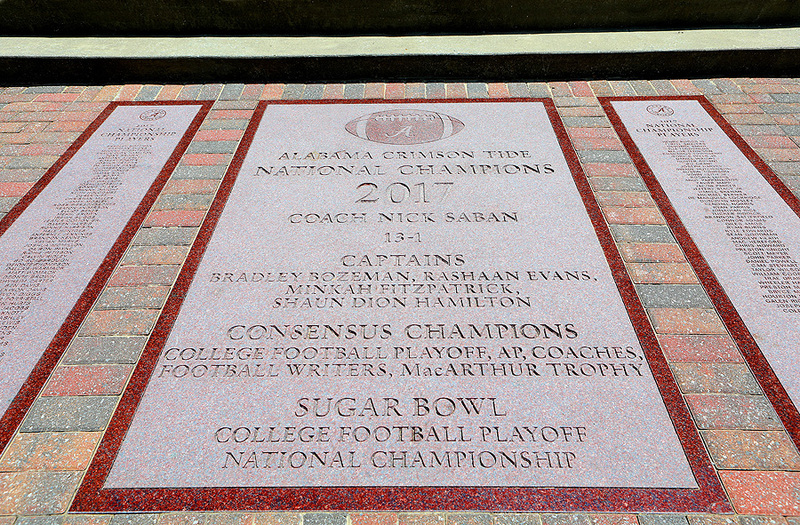 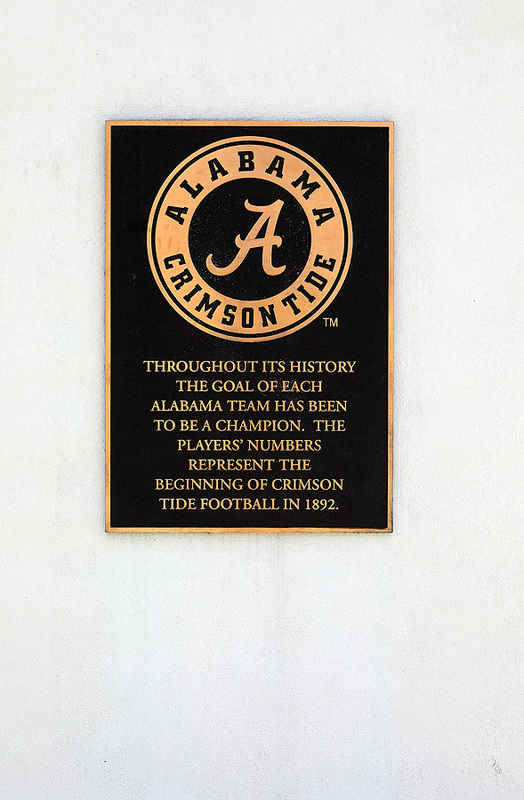 Once at the stadium, I admired the "Walk of Champions", which were monuments outlining and detailing the Alabama Crimson Tide's many National Championships, with the coaches names and the game scores. 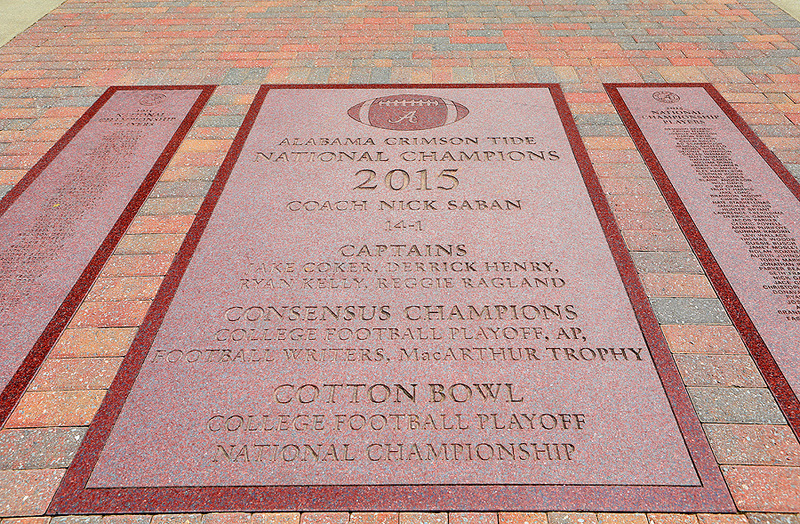 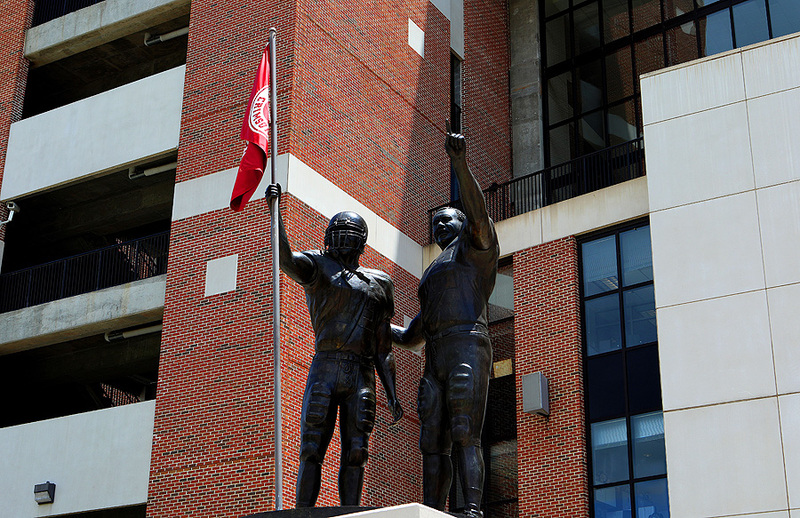 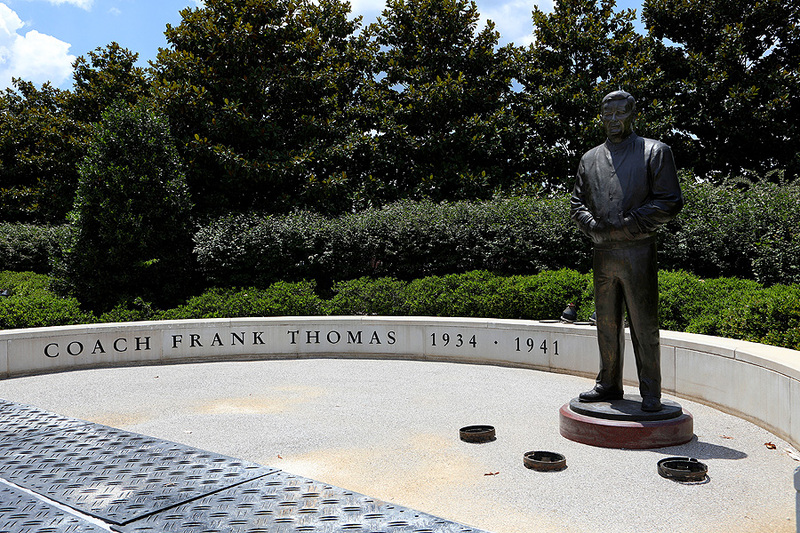 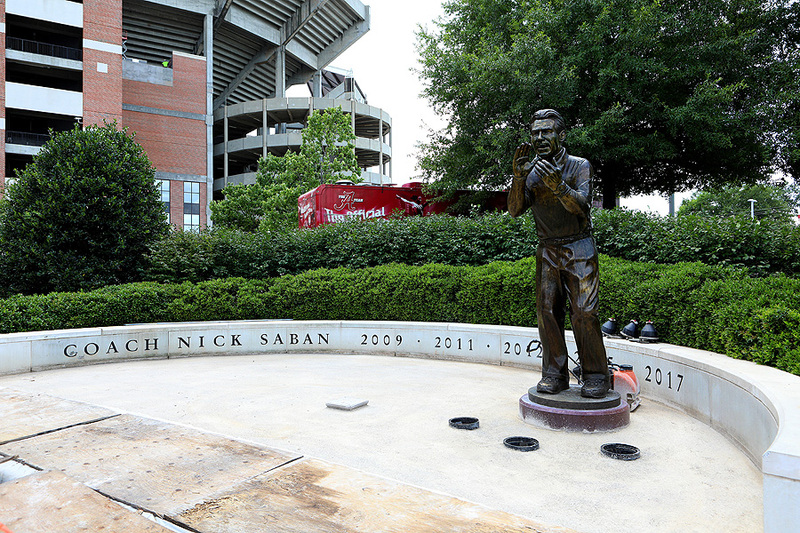 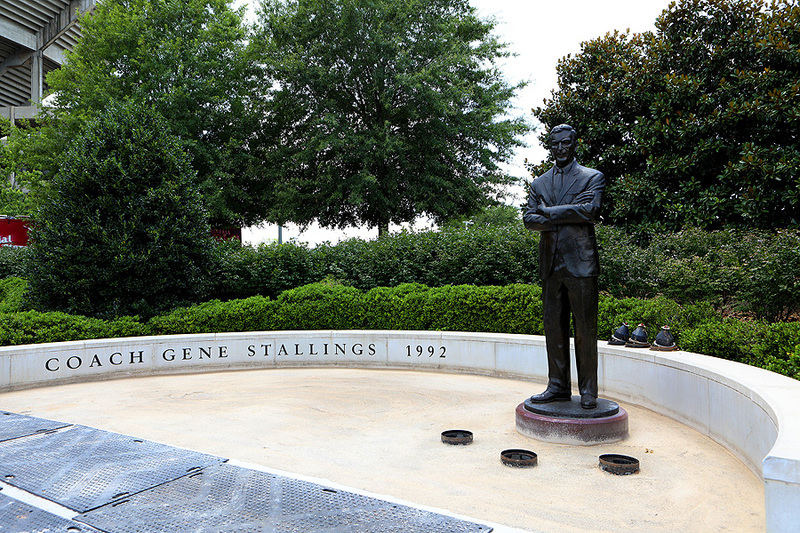 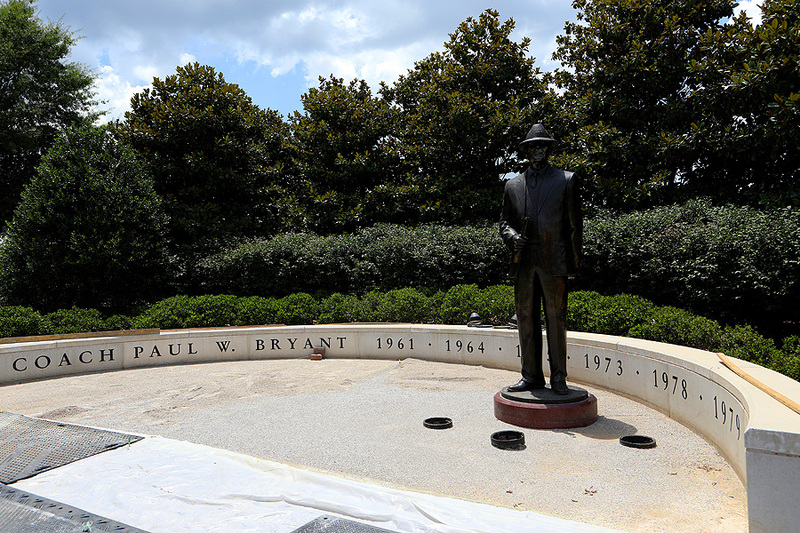 Across from the "Walk Of Champions" are statues of the five Alabama Crimson Tide coaches and the years they won their Championships. 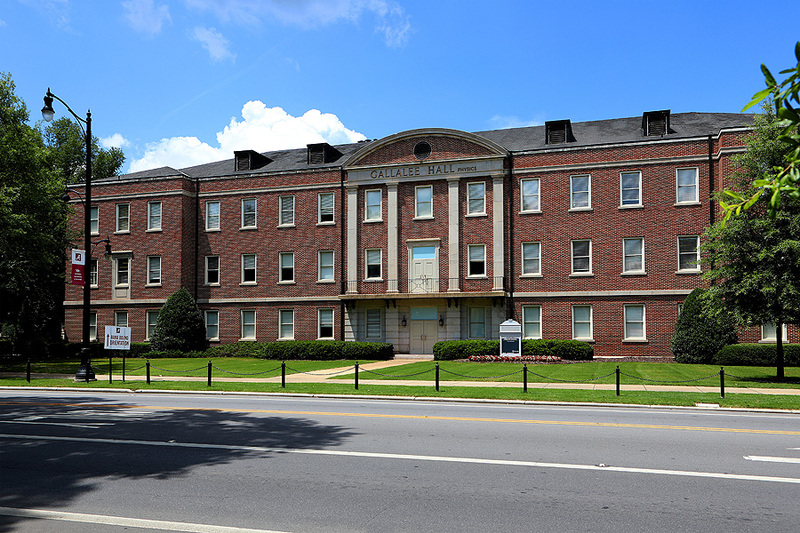 After spending quite a bit of time at the stadium, I continue up University Boulevard to photograph various buildings along the way. 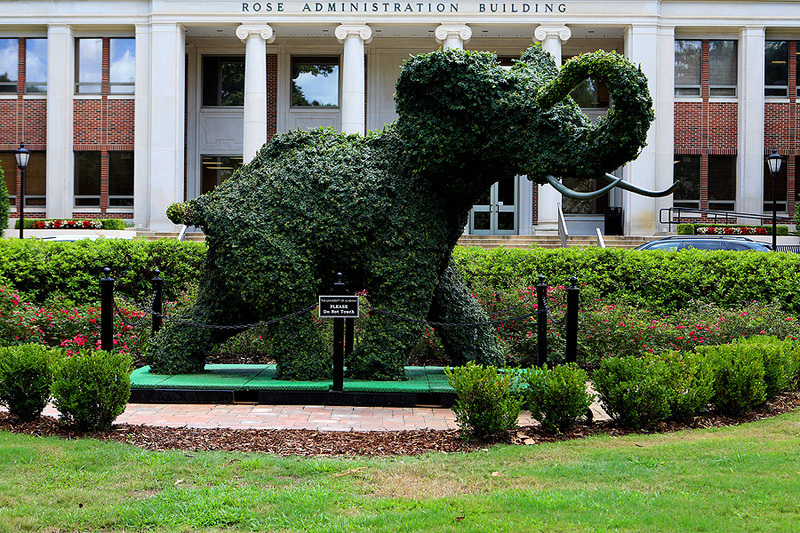 There was a pretty cool elephant sculpture (their mascot) in front of the Rose Administration Building. 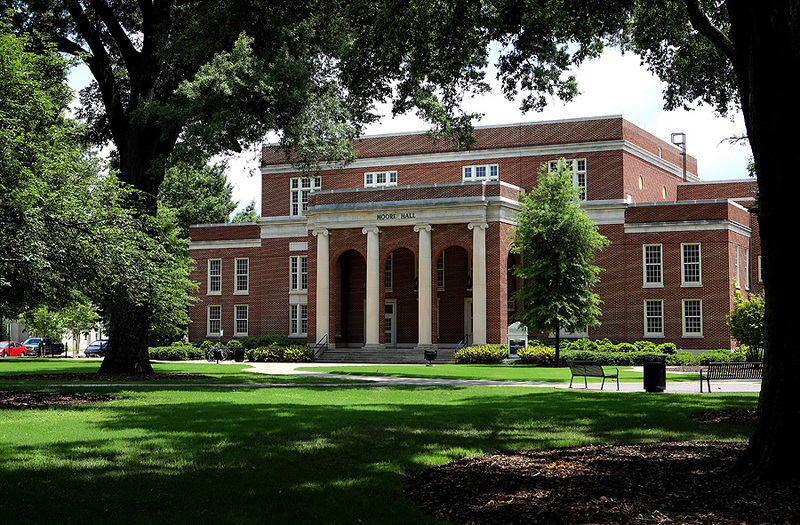 Some of the other buildings that caught my eye included: Reese Phifer Hall (College Of Communication), Boster Hall (College Of Human Environmental Sciences), Rose Administration Building, The President's Mansion, Denny Chimes, a 25-bell carillon on the South Side of The Quad, Little Hall (College Academic Building), A.B. 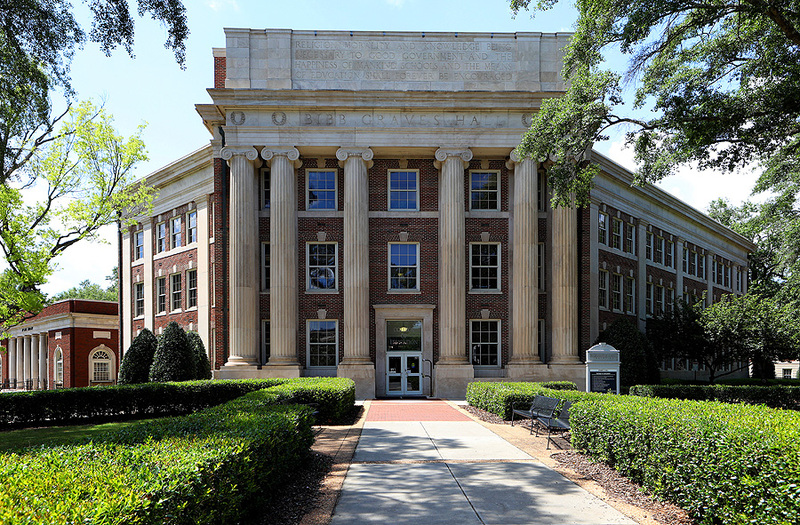 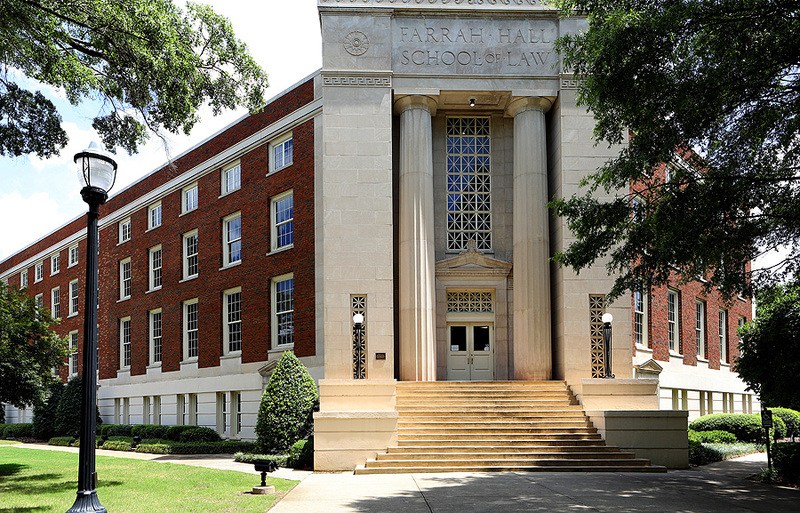 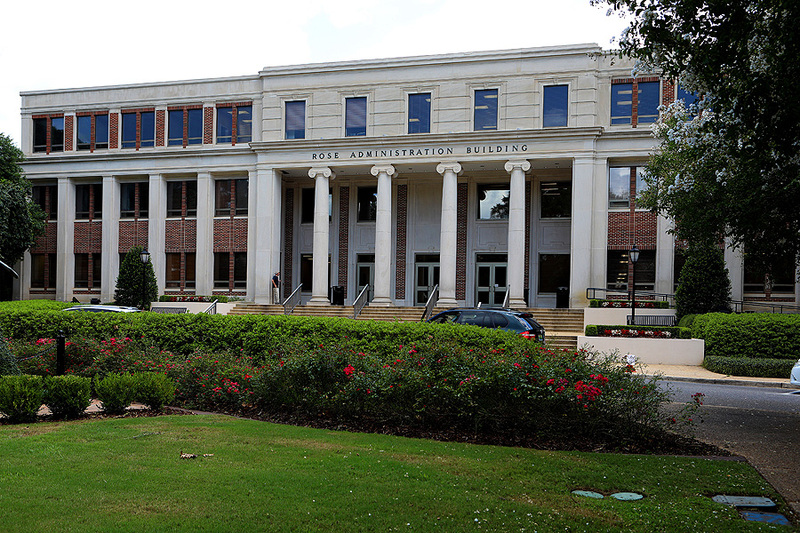 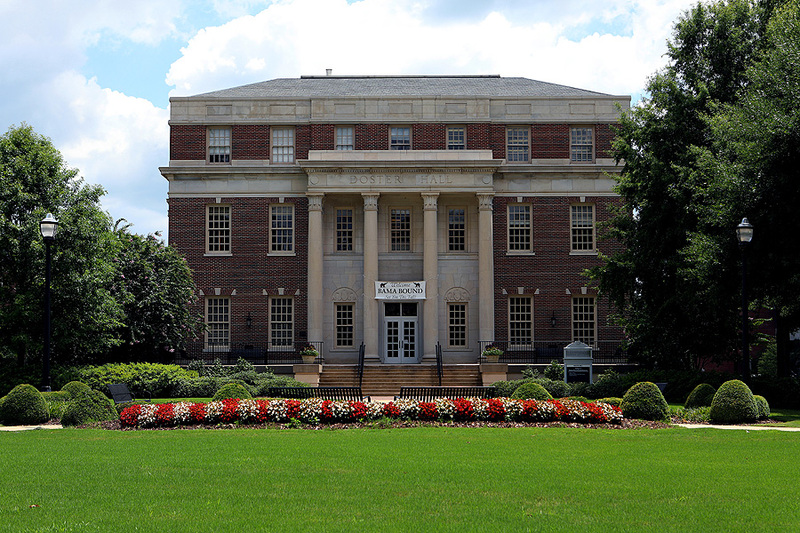 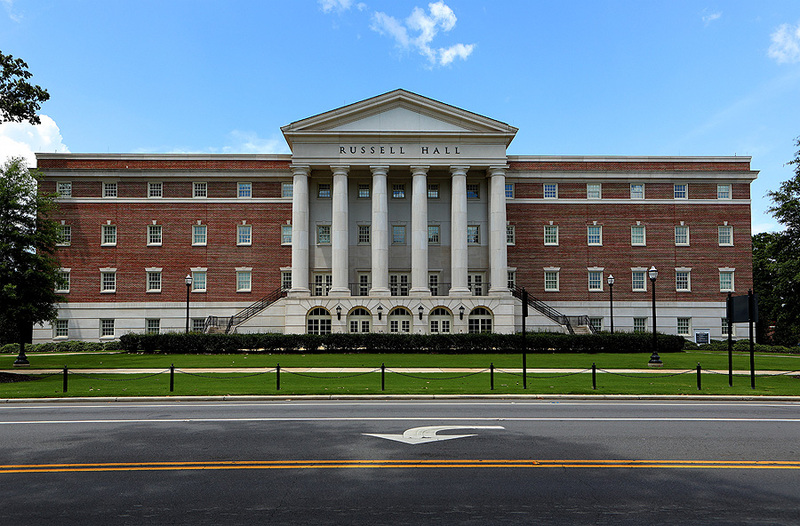 Moore Hall (Department Of Kinesiology), Farrah Hall School Of Law, Gallalee Hall (College Of Arts and Sciences), Russell Hall (College Of Nursing) and the Amelia Gayle Gorgas Library. 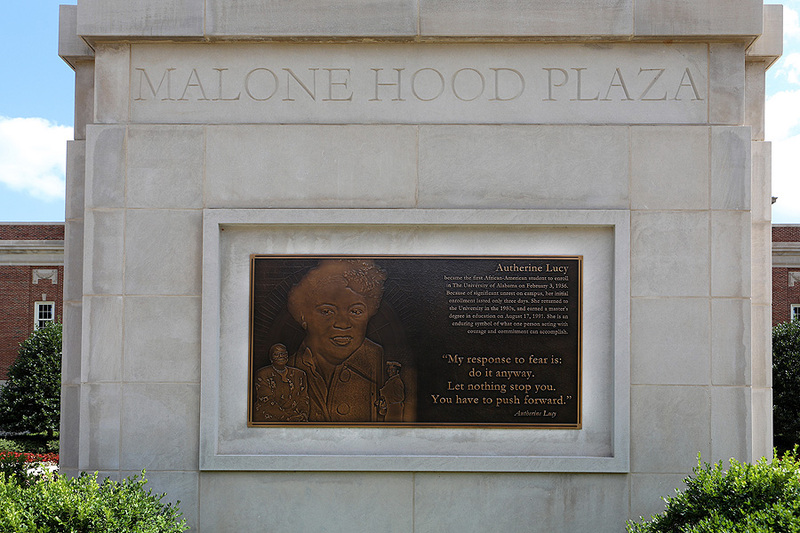 There is a University Of Alabama Historic plaque for Autherine Lucy Foster outside Bibb Graves Hall (College Of Education). 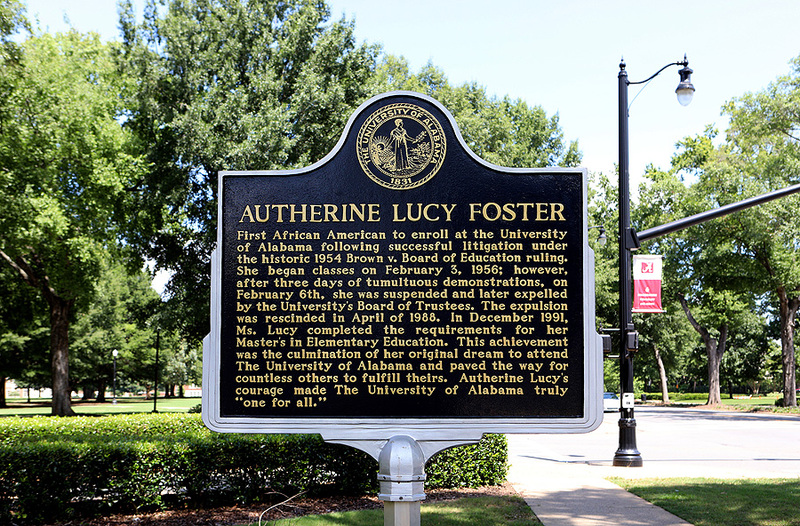 Autherine Lucy Foster was the 1st African-American to enroll at the University Of Alabama following successful litigation under the Historic 1954 Brown vs. Board of Education ruling. 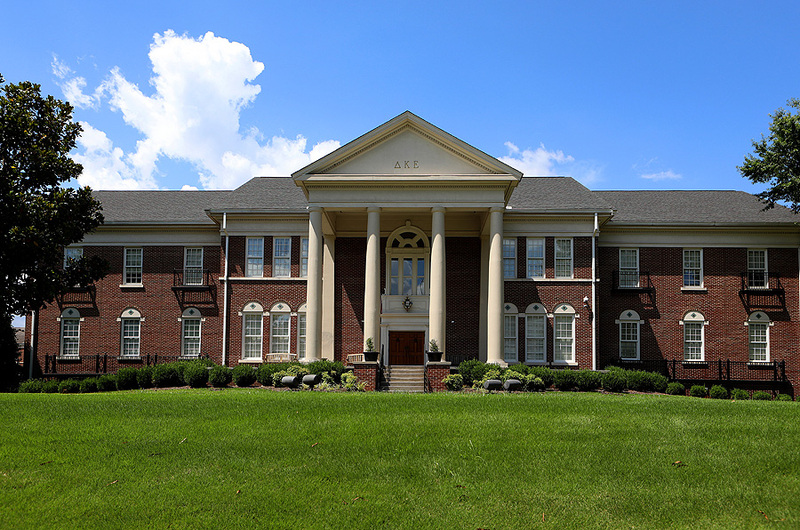 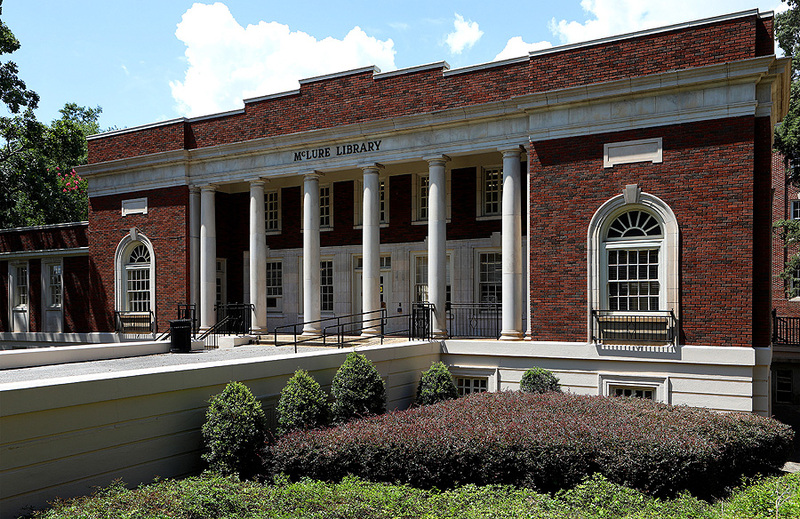 McLure Library was next, along with the Delta Kappa Epsilon House and the Phi Gamma Delta Theta Chapter House. 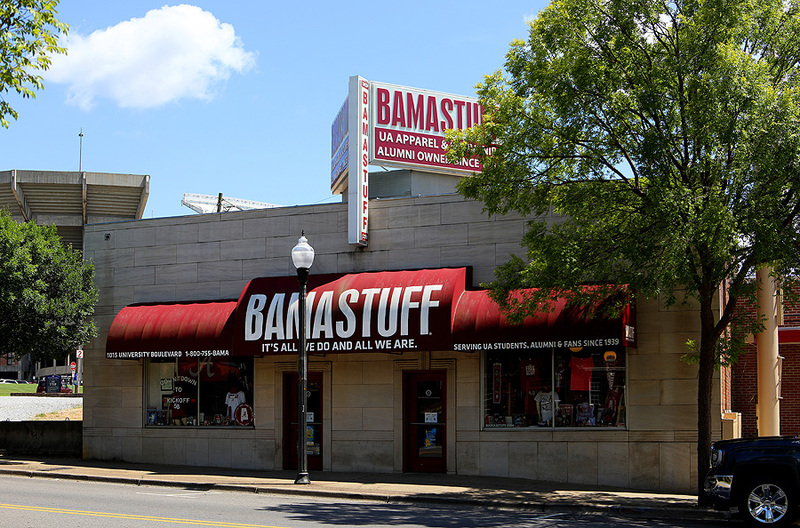 I past the BamaStuff store on the way to the car to go to another location. 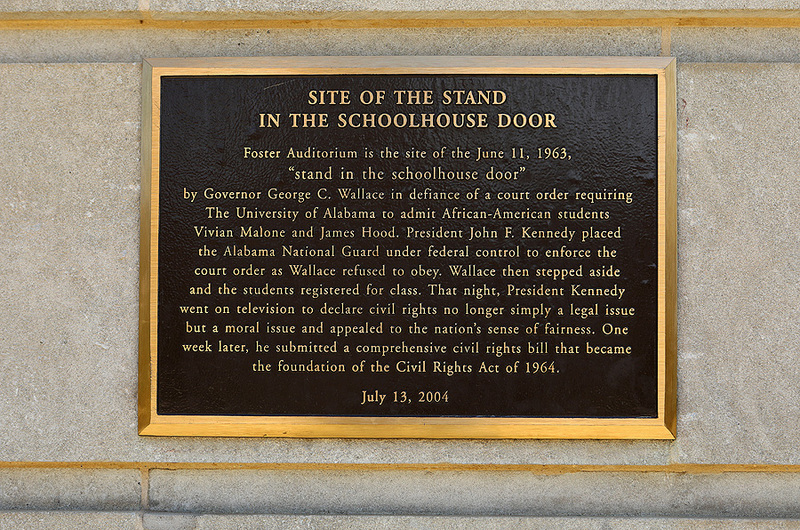 My next location was Foster Auditorium, site of the June 1963 "stand in the schoolhouse door" event where Governor George Wallace defied a court order requiring The University of Alabama to admit African-American students Vivian Malone and James Hood. 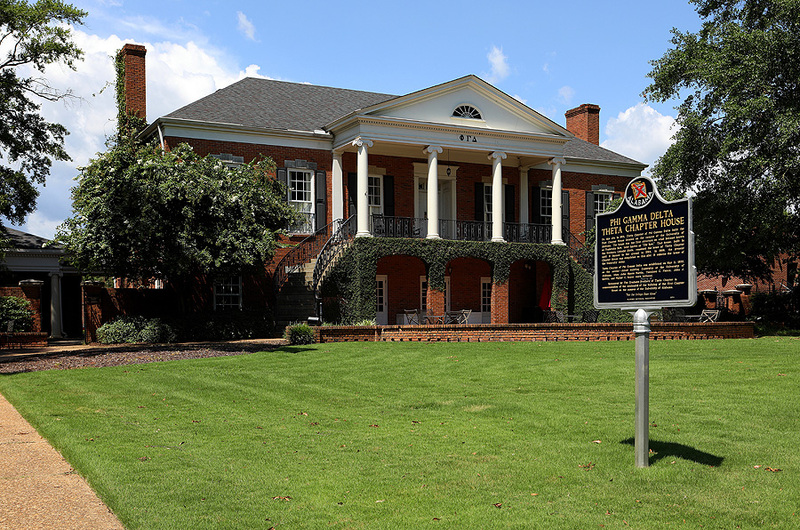 President John F. Kennedy placed the Alabama National Guard under federal control to enforce the court order as Wallace refused to obey. 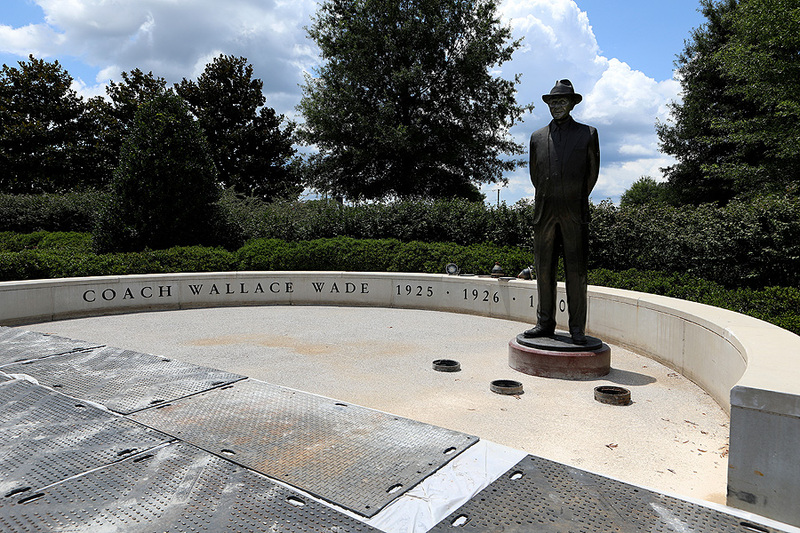 Wallace then stepped aside and the students registered for class. 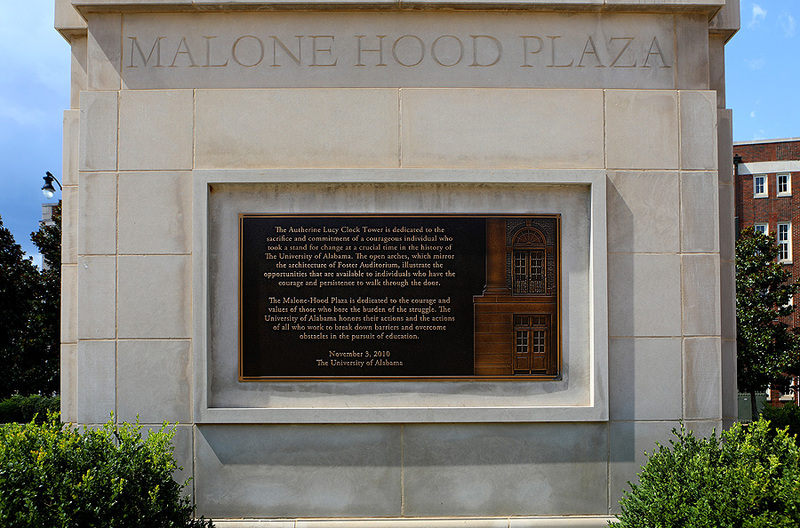 In front of the Auditorium is Malone-Hood Plaza, named for the two students. 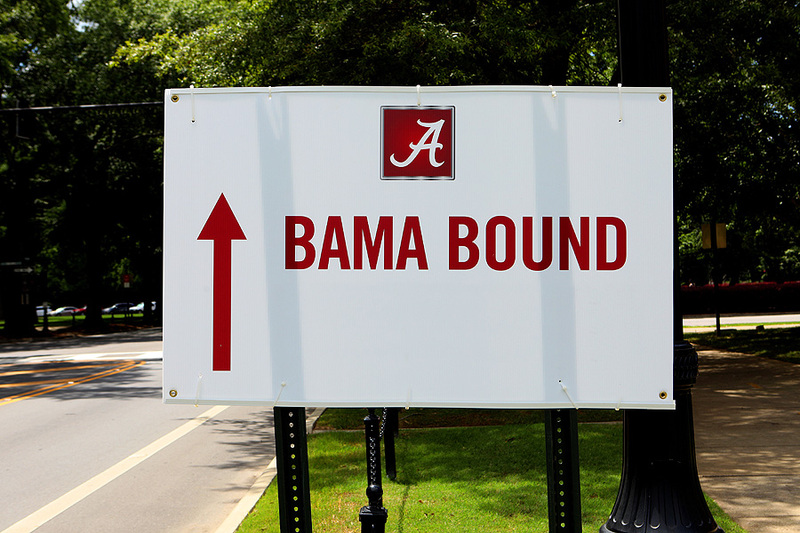 I close my Tuscaloosa visit out with visits to the homes of Nick Saban head coach of the Alabama Crimson Tide football team and Avery Johnson, head coach of the Alabama Crimson Tide basketball team.